Synopsis: A struggling ragtime band find success when they’re joined by a brassy female songstress. By day, young Roger Grant (young Tyrone Power – Seven Waves Away, Witness for the Prosecution) is part of a small orchestra playing chamber music for the gentry, but by night he becomes the baton wielding leader of a band of ragtime musicians. Quite why they need Roger is a bit of a mystery as all he does is stand in front of them waving a stick, but there you go. 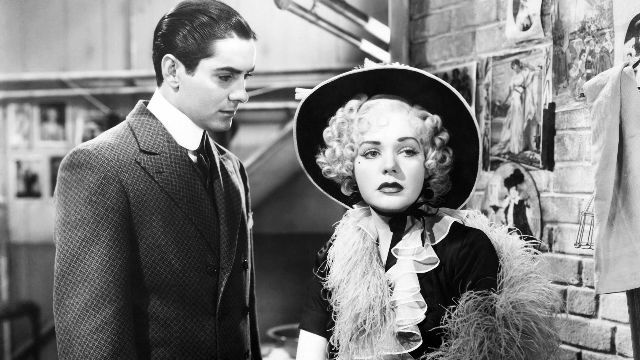 Anyway, the struggling band finally starts to find success when they accidentally fall in with brassy young songstress Sally Kirby (Alice Faye). Despite her down to earth nature, both Roger and his best friend Charlie (Don Ameche – Heaven Can Wait – initially sporting a hairless upper lip) soon fall for her charms. You’d think this might introduce an element of friction into the men’s friendship, but realising that it’s Roger who Sally prefers, Charlie nobly steps aside to let nature take its course. 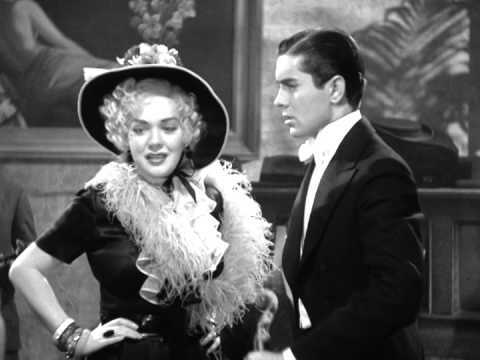 However, when Sally receives an offer of work in New York from theatrical impresario Charles Dillingham (Joe King – Destry Rides Again, The Glass Key), the relationship is ended. The above summary covers only the first third of this typically polished Fox musical, but it’s really not a plot heavy film. What plot there is in the film is completely predictable. We all know who’s going to end up with who, even if it requires the scriptwriters to create a couple of characters (Ethel Merman – Airplane! –being the other one) more noble and self-sacrificing than any that ever truly walked this earth. If you’re a fan of Irving Berlin’s tunes – and there’s plenty of his classic tunes here (and also quite a lot of lesser known songs) – you’ll enjoy this potted history of the development of swing music, but if you’re looking for a decent storyline you’re better off looking elsewhere.